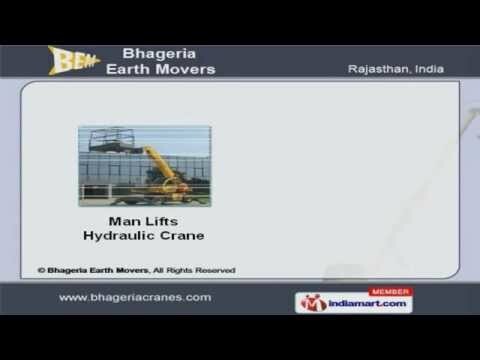 Welcome to Bhageria Earth Movers, Service Providers of Equipment Rental and Contract Management Services. The company was established in the year 2002. Our international quality standards have helped us to earn clients across the globe. On time delivery of services, Team of well trained staff and Efficient contract management are the reasons behind our success. Punj Lloyd, ONGC and Gujarat Ambuja are some of our esteemed clients. We offer a wide assortment of Cranes Hiring Services. Our Hydraulic Telescopic Cranes are well known for their outstanding performance. Man Lifts Hydraulic Cranes offered by us are extremely reliable. We also provide Building Crane Rental Services at industry leading prices. Along with that we offer Cargo Handling Services that are a class apart.